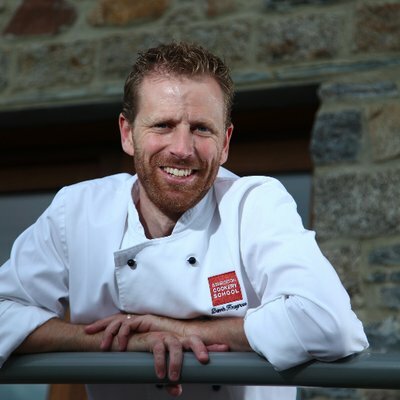 Darrin Hosegrove is Chef Director of the Ashburton Cookery School and Chefs Academy, in Devon. After studying at Exeter College, Darrin began his career at Gidleigh Park Hotel working under the guidance of Michelin-starred chef Shaun Hill. He has worked in many acclaimed fine dining restaurants in the UK and held positions as a college lecturer and development chef before joining the Ashburton Cookery School in 2004. As well as regularly teaching at the school, Darrin also oversees the development of new courses, recipes and menus at the cook school and Chef’s Academy. The award-winning cookery school has been running for 20 years offering courses to amateur cooks of all ability. Darrin was responsible for launching the Ashburton Chefs Academy which has now become a professional accredited training centre teaching culinary diploma’s in cuisine and patisserie to an advanced level. He was also instrumental in the development of the annual Ashburton Food & Drink Festival, which takes place in September.